Check out Tobi's Gina Faux Suede Slouchy Boots Fall has arrived. Get the boot of the season, the Gina Black Faux Suede Slouchy Boots for all your fall season romps. 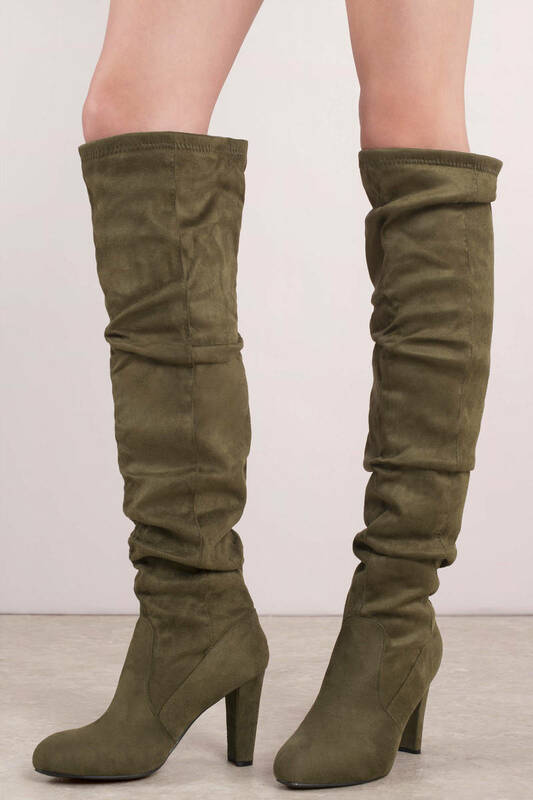 These knee high boots feature a faux suede material with a thigh high fit, rounded toe, and stacked heel. These vegan suede boots will look perf with tights and a mini skirt. Fall has arrived. Get the boot of the season, the Gina Black Faux Suede Slouchy Boots for all your fall season romps. 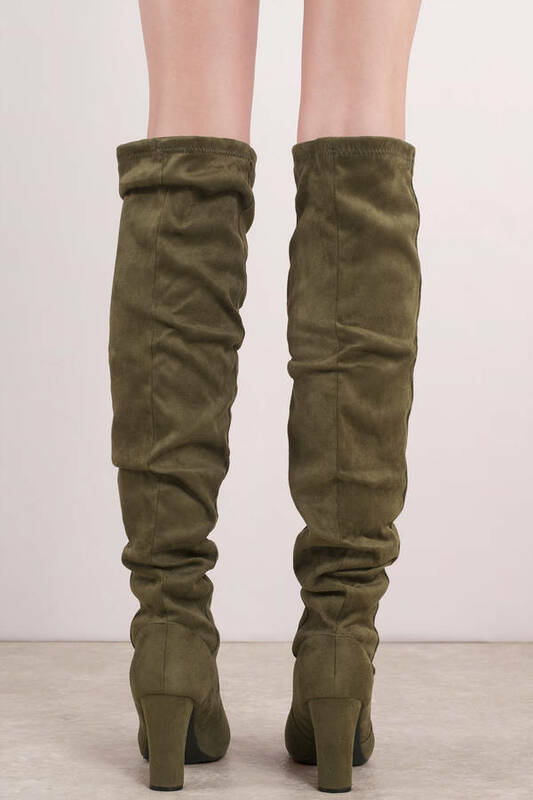 These knee high boots feature a faux suede material with a thigh high fit, rounded toe, and stacked heel. 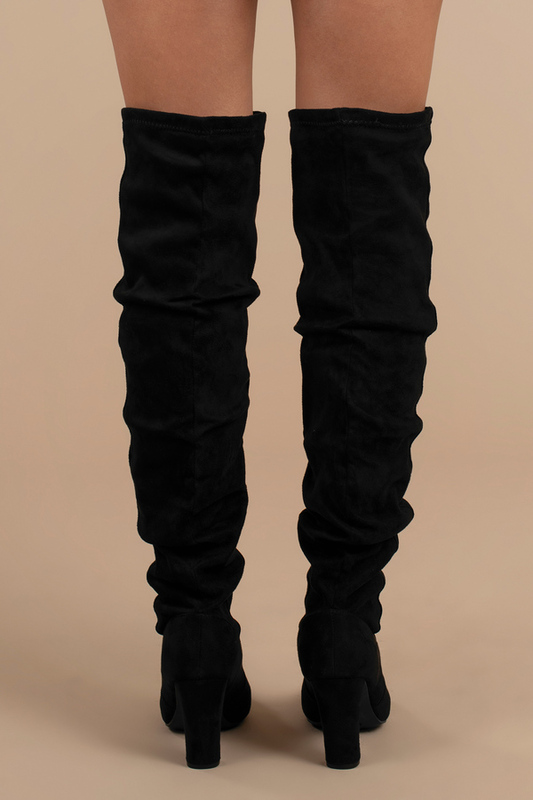 These vegan suede boots will look perf with tights and a mini skirt. Fall has arrived. Get the boot of the season, the Gina Olive Faux Suede Slouchy Boots for all your fall season romps. 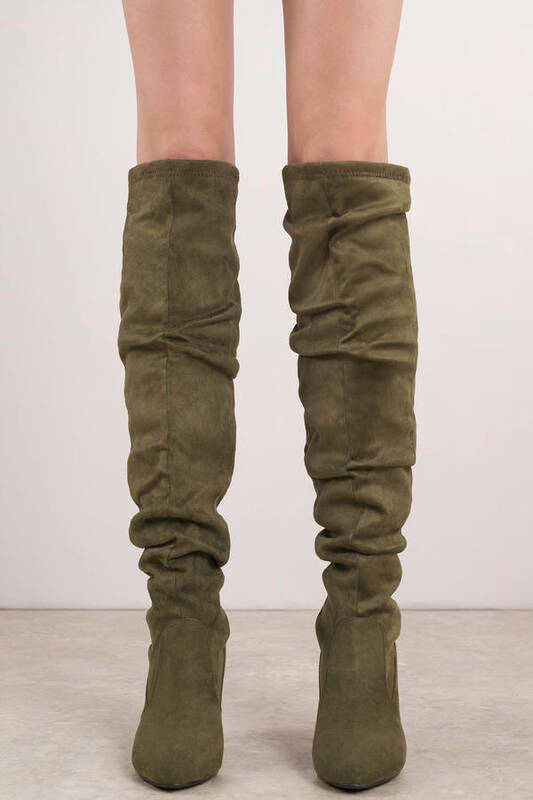 These knee high boots feature a faux suede material with a thigh high fit, rounded toe, and stacked heel. These vegan suede boots will look perf with tights and a mini skirt.